Realizing their responsibility to the world aviation community and guided by the principles of the Chicago Convention on International Civil Aviation, 12 newly independent States of the former Soviet Union – one of the largest regions of the world, signed the Interstate Agreement on Civil Aviation and Use of Airspace and its interstate entities – the Interstate Council on Aviation and Use of Airspace, as its highest body and the Interstate Aviation Committee (IAC) as the executive body of the Interstate Council – were established and have been successfully functioning during all these years. Lastly, the ICAO FANS concept based on the global satellite navigation system GPS-GLONASS has been widely implemented. For her eminent contribution into implementation of the international program as well as for civil use of the GLONASS System, as the major GNSS component, the President of the Interstate Council, Chairperson of IAC Dr. Tatiana Anodina received, as scientist and researcher, on behalf of 190 States the highest ICAO award – the Edward Warner Award. During its close cooperation with the major aviation equipment manufacturers, the IAC Aviation Register certified over 150 types of aircraft and engines. 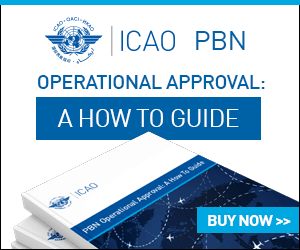 102 international aerodromes and 550 types of air navigation systems certified by IAC have contributed to the creation of a new quality international air transportation network. IAC as an international independent body, registered in this status at ICAO, has conducted over 750 air accident investigations, including major fatal accidents in 76 countries of the world. Not one IAC investigation report has been challenged in judicial order. ICAO’s assistance is of great importance in ensuring flight safety and aviation experts training is provided on the basis of ICAO-IAC Project. Together with our colleagues from the International Transport Safety Association (ITSA), which comprises 17 independent investigation bodies in the world, including those of USA, Canada, UK, Netherlands, France, Japan, Australia, etc., which member we have been for 20 years, we do our best to preserve society’s confidence in air transportation. We constantly inform our colleagues, as well as make public the information about air accident investigations in order to develop joint recommendations of global character, aimed at improvement of flight safety in international civil aviation. These recommendations are always forwarded to ICAO. ICAO’s assistance is of great importance in ensuring flight safety and aviation experts training is provided on the basis of ICAO-IAC Project. Being one of the first projects in 2000 within the technical cooperation of COSCAP it is nowadays, according to the President of the Council, the most impressive example of long-term cooperation in flight safety. Within the Project over 9000 experts in flight safety and 14 operational regulations sets on flight safety for aviation authorities and airlines have been developed. Recently our project actively joined ICAO EUR/NAT Office activities for Eastern European countries as well. Practical cooperation in the field of assistance to the States within the framework of “continuous monitoring” (USOAP) is expanding. This assistance was very effective in Azerbaijan, Armenia, Kazakhstan, Kyrgyzstan, Russian Federation, etc. Regional cooperation as the basis of our activity has become the significant topic within the framework of ICAO international activity as well. Within the framework of activities on development of Standards and Recommended Practices as well as on the sidelines of conferences and forums held by ICAO there are increasing calls for enhanced regional cooperation in order to mobilize resources and achieve priority tasks in the field of flight safety. The positive results of establishment of regional accident investigation organizations (RAIO), as well as regional safety oversight organizations (RSOO) in Central and Latin America, African continent contribute to it. We fully support the ICAO “No Country Left Behind” campaign. This principle along with the ICAO strategy “Uniting Aviation” is the basis for our work within the international community. Today the Interstate Council and IAC cooperate on the basis of international agreements including within the framework of full-scale agreements in the field of airworthiness and flight safety with India, Canada, China, USA, and agreements with AsianPacific Region countries, Africa, Middle East and Latin America, international organizations, ICAO, IATA, EASA, COCESNA, IFALPA, ITSA, CIS, EurAsEC, etc. There are in total 75 States and 19 international organizations. Taking this opportunity, the Interstate Aviation Council and the IAC would like to thank honored President of ICAO Council and ICAO Secretary General as well as the management of the ICAO European and North Atlantic Office for their constant assistance and support. Dr. Tatiana Anodina, President of the Interstate Council on Aviation and Use of Airspace, Chairperson of the Interstate Aviation Committee. Doctor of technical sciences, professor, academician, Honorary Professor of the Moscow State University named after M.V. Lomonosov, honoured worker of science, State prizes winner, holder of the highest orders and medals of many states. In 1997 she was awarded the Gold Medal and the highest international prize of ICAO in the field of aviation and airspace – the Edward Warner Award, as a world-known scientist and prominent research worker. She is the initiator of signing the Interstate Agreement on Civil Aviation and Use of Airspace in 1991 and also the initiator of establishing an independent aircraft accident investigation system and the international system of certification of aircraft and aerodromes.